Iron Man. . Wallpaper and background images in the Iron Man club tagged: movie iron man film marvel iron gwyneth paltrow robert downey jr comics. 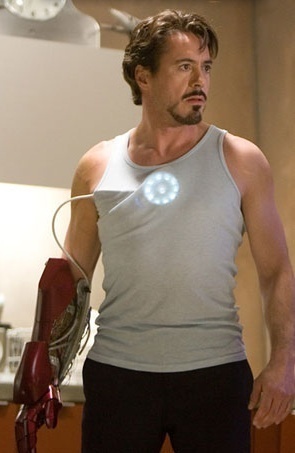 This Iron Man photo might contain singlet, vest, hemd, and ondershirt.